World Archeology: Men Who Vandalized Egyptian Pyramid To Prove Theory Face Charges. 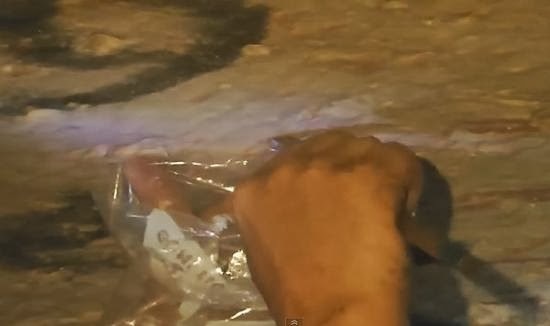 Men Who Vandalized Egyptian Pyramid To Prove Theory Face Charges. 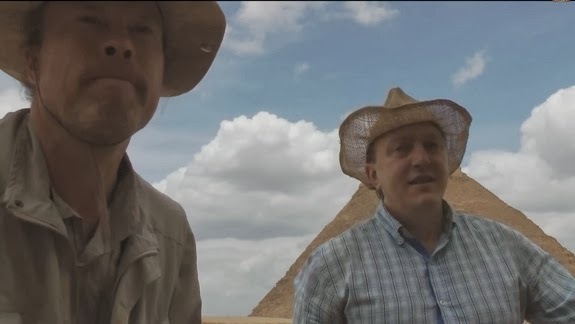 Two self-styled amateur archeologists from Germany, who filmed themselves scraping off pieces of Egypt's Great Pyramid in hopes of proving that the ancient wonder was built by people from the legendary city of Atlantis, are now facing possible criminal charges in their home country. During a trip to Egypt in April 2013, Dominque Goerlitz and Stephan Erdmann, along with a German filmmaker, were granted access to parts of the Great Pyramid at Giza that are normally off-limits to the public. They smuggled their samples back to Germany with plans to produce a documentary. "The group reportedly took several items from the pyramids, including ... samples of a cartouche (identifying inscription) of the pharaoh Khufu, also known as Cheops. Goerlitz and Erdmann, who are not archaeologists but have instead been described as "hobbyists," allegedly smuggled the artifacts out of the country in violation of strict antiquities laws, according to news reports." The Art Newspaper says that in November "a self-posted trailer on YouTube for a documentary detailing and revealing their exploits, drew almost universal condemnation and angered Egyptian authorities. After the controversy broke, the German embassy in Cairo released a statement emphasising that neither Goerlitz nor Erdmann were associated with the embassy or the German Archaeological Institute." 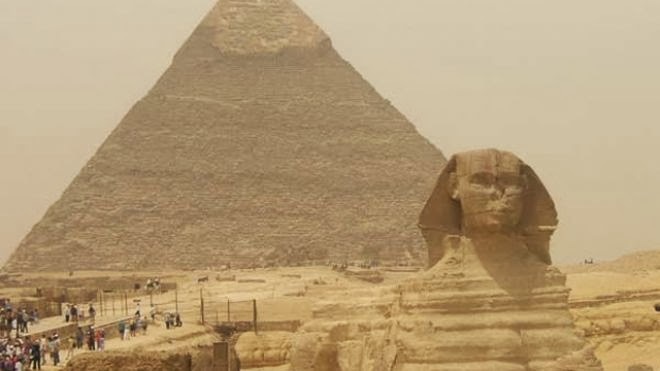 In addition to the three Germans, six Egyptians are being held in connection with the case, including several guards and inspectors from the Egyptian Antiquities Ministry who allowed the men into the pyramid, Live Science says. "Most scholars date this mark to the pyramid's construction in around 2500BC, while alternative theorists, including the two German researchers, have long claimed the cartouche to be a fake, painted by its discoverer, Colonel Howard Vyse in 1837 to help him secure further funding for his explorations. To prove their claims, Goerlitz and Erdmann allegedly smuggled the pigment samples from Egypt to Dresden University for further study; by proving the modernity of the pigment, they hoped to raise the possibility that the Great Pyramid was constructed by a civilization much older than the ancient Egyptians." In December, Goerlitz and Erdmann apologize for the vandalism in a letter addressed to Egypt's Ministry of Antiquities, "offering to pay compensation for the damage and stressing that they did not mean harm to the pyramid. Egypt's head of antiquities, Mohamed Ibrahim, has so far rejected their apology." "The conspiracy theories that Goerlitz and Erdmann endorse did not appear in a vacuum; instead, they have been widely promoted by best-selling authors such as Erich von [Daniken], who wroteChariots of the Gods? first published in 1968. Such authors claim the true builders of the pyramids were not ancient Egyptians but instead others, like extraterrestrials or residents of the legendary Atlantis."